Whenever I see pop singers who dance in tandem with choreographed dancers, I often cringe. Synchronized dancing is “serious.” Even though it is “fun,” it often lacks the comic touch. To be sure, the only kind of dancing I like to watch, if it is to be worth my viewing time, must be comic. Although this is my present view, I didn’t arrive at it overnight. When I was growing up, I loved to dance. And my brother and I would often dance in front of the TV to Michael Jackson, Soul Train, and, yes, John Travolta. I loved Grease and Saturday Night Fever. I also liked MAD magazine. So when I first saw the issue parodying John Travolta and Saturday Night Fever, I was introduced to a new type of dancer: the dancing fool. Alfred E. Newman as John Travolta. This parody of a serious dance film also caught on at Sesame Street. Although this blipped on the screen of my youth, the shock didn’t settle in until I was in Junior High. When I first heard Frank Zappa’s “Dancing Fool,” it struck me how powerful a parody of serious disco could be. This song altered how I looked at music and dance. I moved my body differently. 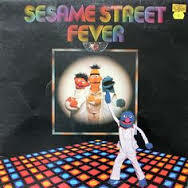 And this made me rethink the Disco Genre that I so loved as a child. I wanted to alter it and I changed my moves to something more “funky.” One of the things I noticed, in dancing in a “funky” and comical way, was that I was happier and my friends around me were happier when I danced in a comic fashion. I felt some kind of liberation form main-stream culture in this kind of musical parody. In university, I had a group of friends that loved to play with movement and we would have dance parties. Many of my friends were from NYC and they introduced me to a new movement that was brewing. They showed me a new way of parodying disco culture that had a Jewish and urban flavor. Out of this urban cultural movement emerged projects like Heeb Magazine, Jewcy, and Reboot. 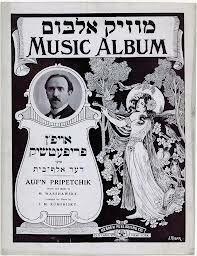 It produced books like Bar-Mitzvah Disco, Cool Jew, and projects like MODIYA at NYU (which looked to chronicle it). These magazines, books, and websites were looking for a new way of making Jewishness “cool” and ironic. The “unlikely hero” of this endeavor is the dancing fool. This, for me, had a lot of resonance because the dancing fool is not simply a figure that is novel to this new movement; it is also found in the secular culture and even in Hasidic culture. There is something deeply spiritual and deeply secular about dancing like a fool – yet, in such a way as to open up new ways of moving. I want to end this blog entry with a clip from Betty Boop entitled “Betty Boop and the Dancing Fool.” This, I think, is one of the main sources that Allen draws on. It epitomizes a time of great change in America in the early 20th century, and it brings out how some of this frenetic and revolutionary energy was wrapped up with a new medium: animation and film. There was an animism at work that had something comical, so to speak, built in to it. Perhaps what made it so comical was the fact that movement – which has no norm or else breaks with the norm – is comical. And this kind of energy moves like a foolish electric current that plays with and transforms different cultural trends. Through this kind of animation a new kind of dance and a new kind of dancer emerged. And although much of this had to do with a medium, we cannot ignore the fact that that medium was created and advanced by many Jews. In this medium, many things can be parodied, but what remains throughout is movement, animation. This came to the fore for me when I met my first dancing fool through MAD magazine. He had the body of John Travolta but the face of Alfred E. Newman. The comic face displaces the serious body yet, in the end, what remains? No. This blog entry is not on the Hasid or Hipster tumblr site, which, believe me, I really enjoy as does Jimmy Kimmel and a variety of people who regard themselves as “hipster Jews.” Rather, its on an animation by Nextbook called the Golem which pits a group of Hasids against a group of Hipsters. Playing on some kind of possible tension, which may or may not exist (after all, a lot hipsters live in Williamsburg which is home to Satmar Hasidim) this short animation does a lot to diffuse it. And it does it by way of showing that, in the end, the Hasid, the Hipster, and the Golem are all schlemiels who, instead of putting up a fight, would rather just hang out and chill. The opening of this animation draws the story. But this wasn’t simply a legend amongst the Jews. The Golem story found wild expression in the German Expressionist film from the 1920s. In this film, the Golem is associated with the something very grim and Gothic. He appears to be a monster of sorts. One of the Hasidim gets the idea that the Hasidim should boycott their establishments so that the Hipsters will leave. But this plan falls flat because, as he says, “none of them have jobs.” The same Hasid suggest that they take graver measures. And by this he means the creation of a “monster” who will “do our bidding” (a Golem). While he says, this we hear chilling music. One of the Hasidim says that “the secret of the Golem has been lost for generations” while the narrator says “until now.” At this point, the animation shows us a Wikipedia page which shares the Golem’s secret. (The joke, in this instance, targets a Messianic kind of valuation our society gives to Wikipedia.) . And the comic blunders that follow accumulate and bring out sheer schlemielkeit. After all, what kind of Golem would Hasidim reading a Wikipedia page on the Golem produce? After feeling a little Jewish guilt because of his “creators” kvetching, he goes downstairs. But before he does, we bear witness to a hipster conversation which is, as in the earlier parts of the animation, looking to be cool and disaffected. In the midst of this conversation, the Golem breaks through the wall to scare them. In response, the hipster asks for his iphone. Upon hearing this, the Golem acts “as if” he is angry, calls them fools, and tells them that the “police won’t help them.” But the hipster doesn’t want the phone to call the police. Rather, he wants to “tweet a photo” of the Golem and put it on facebook. Continuing the comedy, the Golem’s arm falls off and he asks the female hipster to put it back. She tells him not to worry: she’s dated Golems before. In this world, all is banal. In a Warholian fashion, nothing shocks, not even a Golem. But that’s hip. In characteristic fashion, the Golem makes it into the news, becomes popular, and attracts a group of ‘sports-bar’ types to the Williamsburg bar. At that point the hipsters, rather than the Hasidim, say: there goes the neighborhood. The last words they utter suggest that they go, instead, to Crown Heights, were there is a “Manticore” DJ (who is apparently half human/half scorpion). The Golem stays there, in the back of the bar, as they walk away. This suggests that the Golem is passé and that there are many other hybridic half human beings out there. But they are no longer scary monsters; they’re cool. And the last scene we see of the Golem become a jock while the Rabbis complain of assimilation. Like Woody Allen’s chameleon-Schlemiel, Zelig, the Golem changes with every person he is around. But he is left back, while they move on. And we are left with a few questions: Should the Golem have gone off with the hipsters? Is his assimilation, now, giving in to jocks rather than hipsters? Ending on this note of assimilation is telling because the Golem, like the schlemiel he has become, has been transformed by the American cultural imagination. This transformation of the Golem into schlemiel suggests that what lasts, in America, after all is said and done, is the schlemiel. American Jews, who may align themselves with the comic aspects of Jewish identity, feel more akin to the schlemiel than to the Golem. Of all characters, the American-Golem-Schlemiel – whose greatest asset is his coolness and indifference to fighting – remains. 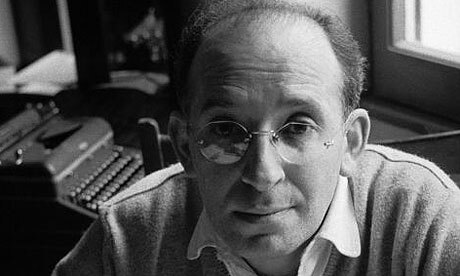 Contrast this to Israel and its historical consciousness and you will find that their reading of the Golem is much different; for many, the schlemiel represented something Jews were not: a figure of power who could protect the community from enemies. Israelis deemed, in the wake of figures like the Golem, to protect themselves. 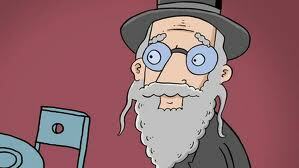 But in this animation, where Hipsters are seemingly pit against Hasidim, protection isn’t the issue: comedy is. In this battle, comedy displaces the Golem legend and transforms the Golem from a monster-of-sorts to a schlemiel. In this piece, the Golem-Schlemiel is the “unlikely hero.” And instead of Hasid or Hipster we have the schlemiel.